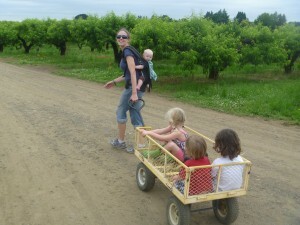 When Mama Has A Bad Day » Core Parenting - Parenting Resources in Portland, Oregon. We talk so much about how to help a child through their emotions. We want them to have awareness, understanding, and language to process emotions. We want them to feel, express, process and recover from emotions in ways that are healthy and productive. But what about when parents have emotions? And more specifically, what about when parents have emotions that interfere with our ability to be calm and present and balanced and thoughtful parents? What about our emotions? Over the past weekend I was blessed with many opportunities to feel lots of uncomfortable emotions, practice mindfulness, use self calming techniques, and notice when I was reacting to situations rather than interacting with my children. The weekend, in all its kindness, offered me a never ending flow of moments in which I could practice re-centering after I found myself off balance and lost. The weekend was ripe with data collection and information and opportunity for growth. I should, theoretically, be grateful. In reality, I was frustrated, exhausted, weary, angry and confused. Prior to the start of the weekend I had set an intention to bring my awareness to a deeper level of parenting. I wanted to challenge myself to be more introspective, to become involved in some of the subtle ways that I may be giving unintended messages to my children. If thinking about your thoughts is referred to as meta-cognition, I wanted to intentionally practice meta-parenting. I was excited and invigorated and had grand expectations of revelations and really deepening my parenting practice and connection with my children. Not by a long shot. At least not in the way I had envisioned. Instead, all weekend I struggled to hold on to the bare essentials of what I value in parenting. I held on to calm with clenched fists and bit back harsh words and heard my voice get louder and saw my actions get sharper and moved through the hours of the days counting the minutes until nap time, and then bed time so that I could breathe again. Rather than looking at how I could become a great parent, I was challenged at every juncture of the day to just be good enough. And it was tough. So what happened? It wasn’t that my children were exceptionally challenging or difficulty this weekend. They were, as they always are, kids. Kids with needs. And it wasn’t that I was exceptionally bad at parenting this weekend. I was, as I always am, a parent. A parent with needs. And a parent who for maybe for no reason at all, was having a bad day. The kind of day that, if I was single, I most certainly would have filled with shopping or crying or watching chick-flick movies or eating chocolate chip cookies. Which of course, is just not possible when you’re a mom. And for some reason, those needs all collided this weekend. And the more they collided that more I judged myself. And the more I judged myself, the more I felt like I just needed a break. 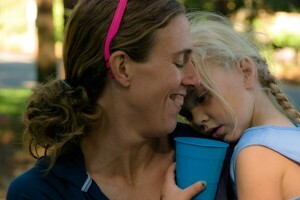 And the more I felt like I needed a break, the more I felt overwhelmed by my kids needs. And the more I felt overwhelmed by their needs, the more difficult it became to meet their needs. And the more I missed the boat in meeting their needs the more needy they became. And so on and so on. Sometimes we parents can do it all and feel great we can pull the so-called load with a smile, and sometimes the load just feels too heavy and the road looks too long. I pulled out every trick of the trade. I tried connecting with my kids fully. I quieted down our space. I changed our agenda to eliminate the “back-ground noise” (no, we really did not need to run those errands today). My husband and I divided up the kids for quality alone time. I took some time to self-care. You name it, we did it. And still, after a few moments with the kids, the feelings welled up in me again and again. Their needs smashed into my needs and my hopes of “meta-parenting” and I would again feel frustrated and the cycle would repeat itself. By the end of the night I just wanted to crawl in bed and pull the covers over my head. In formal meditation practice we can often find ourselves surprised by the feelings that come up. We can often struggle to force our thoughts a certain direction or try to create an experience that we think we are suppose to have. And in doing so we miss the point. It seems to me that parenting is the same thing. And that day, I missed the point. I set an intention, which turned into an expectation to take a deeper look at the messages I may inadvertently give my children. And then, wonder of all wonders, I spent the whole day actually doing many of the things that I most fear doing. And rather than noticing and being gentle with myself, I fought against the process, blamed my children for being needy and got into a cycle that repeated itself over and over again. The fact is that parents, all parents, are human. Some days, we are just going to be off. Some days, things just won’t feel right. Some days, we just won’t be the parents we aspire to be. And somehow we have to be gentle enough with ourselves to not get locked into a pattern. When we feel like bad parents, we are more likely to act accordingly. Likewise, when we are gentle and forgiving and nurturing to ourselves we are more likely to be able to do this with our children. Having bad days is part of life. Having our kids see us having a bad day is inevitable. Sometimes we are having a bad day because of life circumstances, sometimes, we just feel out of sorts for no particular reason. It is important for us as parents to own that rather than reacting to our children in a way that places blame on them. Whether we are having a good day or a bad day, our kids are just kids. Kids with needs. And when bad days happen, rather than trying to hide it from our kids, what would happen if we engaged with them in an authentic way? What if we tried doing these things instead? Communicate how we are feeling with our children. “I’m having a sad kind of day. I don’t really know why.” Or “Today, I feel really frustrated.” – We so often encourage our children to identify, label and understand their own emotions, but for some reason, we can feel reluctant to share our own emotions (unless they are happy, proud, joyous, relaxed.) But not talking about our emotions may make it more likely that kids will assume our negative energy is about them! When we are short tempered, and reacting to them, and not talking about our feelings, it only makes sense that kids would believe that they are the cause. This is not the message we want kids to internalize. Allow your kids to be part of the discussion. “I was thinking of trying to take a bath by myself for a few minutes and see if that helps me calm down. Do you have any other ideas? What works for you?” – We often encourage sibling to help each other problem solve emotionally complicated situations. Doing so can give siblings or friends a chance to connect to each other, feel good about helping each other and also teach them about emotional processing. Why not do it when it is the parent who is feeling something? This can give the child the message that mama may be feeling grumpy, and it’s not about them and they can support mama in finding something that works! What a great feeling for everyone. Don’t be afraid to admit you said or did something wrong. “I know I yelled earlier. That wasn’t fair and I don’t want to communicate like that. Is there anything I can do for you now?” If we want kids to really understand what it means to apologize and check in and connect with someone they hurt, (rather than just saying “sorry”) then what a better opportunity for modeling this than when we lose our parenting cool. Don’t be afraid to change the routine. Being aware that we are struggling through a moment is a great first step. We also have to be willing to make a plan that is more likely to work for everyone. Let’s face it. Taking one or more children to run errands can be a daunting task and often takes all our resources. Realizing that you just aren’t up for it at the moment can divert a disaster. When we are having a down day, some things just have to slide. Knowing what can give can make a huge difference. Eventually, we have to go to the grocery store. But does it have to be this moment? Remember that if we can be gentle with ourselves, breathe deep and accept emotion as it comes, no emotional experience will last forever. Waves of emotions come in and go out. Our own emotional awareness and our ability to be gentle and accepting of ourselves and our own emotions will set the stage for how we will teach our children to handle their own emotions. We are all in this together, kids and parents alike. Emotions are just part of the journey, even the uncomfortable ones. Thank you. Having one of those days NOW. I was guided to find this article. I understand that I need to help my children figure out how to handle feelings, but what happens when Mama doesn’t know how to help? When Mama hasn’t recognized her ability and skills to do so. I feel like I need to be parented on how to parent. Stephanie, So glad this article came at the right moment for you. I often feel like we are learning life right along side our kids! Not to mention, many of us grew up not learning how to embrace our own emotions, so your right, we have to learn how to do it ourselves! Our kids, and the parenting path can teach us so much if we are open to it. Me too Stephanie! This REALLY hit the spot! Thanks! I had a very challenging day recently. I was telling my husband how frustrated/ irritated with the world I was and my son was standing there. He looked up at me and said, “Mama sad.” I was shocked he could read my emotions that well for 20 months. I told him that yes I was sad and that I would feel better later. This parenting stuff is HARD sometimes. Thanks for the reminders and ideas. I could definitely stand to be a little more gentle on myself. Jen, Isn’t it amazing how much they observe and understand? I love those types of moments. Thank you for this! I am in completely agreement, and it comes as a really timely reminder, having just had one of “those” days. Tomorrow I will be easier on myself, and gentler on my children. Laura, I would love to hear how tomorrow’s gentler approach works out! Thanks for sharing. I’m with Stephanie, this mama needs to be patented on how to parent. Especially when it’s not the way she was parents but would like it to be the way she parents. One day at a time and gentle reminders like this are really the best way to get there. Thank you! You got it, one day at a time and gentle reminders. And sometimes, it’s more like one breath at a time! Thanks for sharing Katy, we are all in this together! Love this. Perfect timing. Thank you for the reminder!!! Beautifully written! Thank you for the reminder. This is beautiful and much appreciated. After a very long and emotional day yesterday (for both myself and our toddler) all I could tell him last night while rocking him was that its ok to have tough days. Just saying it to him out loud reminded me how true that is for all of us. Tough days usually equal tough nights for our little guy, but rather than dread the night ahead of me, I kissed him goodnight and told him we would work together to make the next day better. And you know what? I believed that and have followed through today. I hate it when he sees me frustrated or sad, but just being honest with him about how I’m feeling helps ME to be gentle with myself and in turn, more gentle and patient with him. Thanks for sharing this Katherine. It’s amazing how much power saying something out loud has! The Feeling of Parenthood Help Me Please!